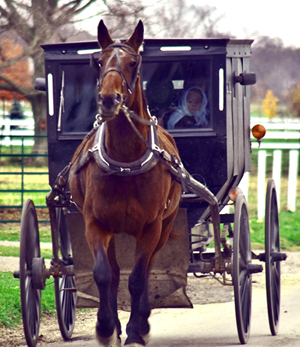 MARCH 19--Pennsylvania cops are hunting for the driver of an Amish buggy that was involved in a hit-and-gallop accident Sunday evening. 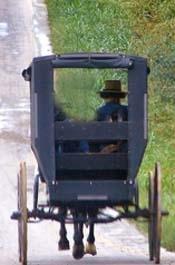 “The Amish buggy drove away from the scene” and was last spotted “near Orchard Road and #8 Rd,” a police report notes. 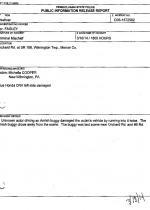 While the left side of Cooper’s car was damaged by the buggy, she was not injured during the collisions. Police have classified the buggy accident as a criminal mischief incident, so it appears unlikely that the perp would face an additional charge of trotting from the scene of a crime. In a TSG interview, Cooper said she was at a stop sign waiting to make a turn when she spotted the buggy “flying like a bat out of hell” down the road. As the buggy turned alongside her vehicle--which carried Cooper’s two young sons and a 10-year-old nephew--it struck the side of the 2009 Honda. 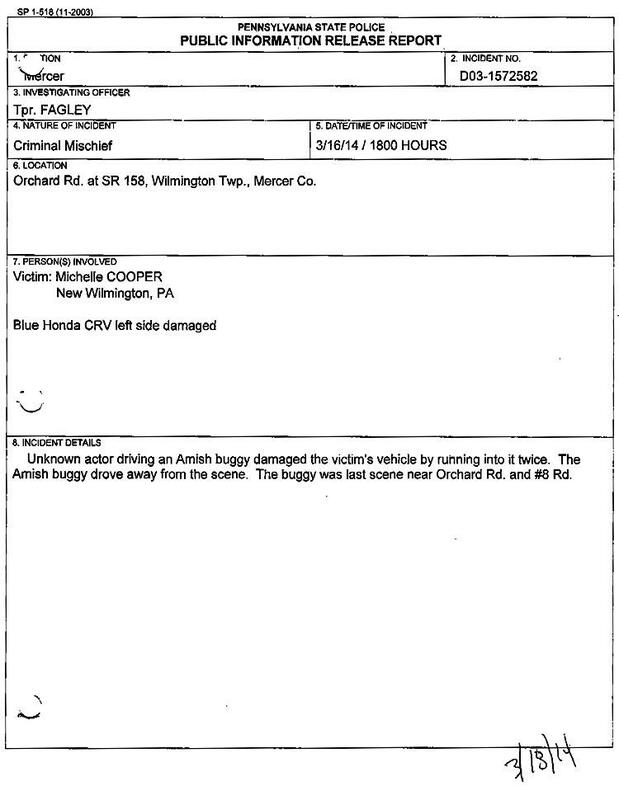 After pursuing the buggy for about a minute, Cooper pulled in front of it and exited her car to confront the driver, whom she described as a “young kid” with “no beard.” The driver, Cooper said, “threw his hands in the air” and drove on, striking the Honda’s open driver’s door (which Cooper could not subsequently get to close).